The FAW Football Leaders Award is an eight-hour practical day following on from five online modules. The course is designed to provide a basic introduction to the organisation of football practices in a fun, safe environment, with an emphasis on engaging with young players. This is a mandatory award for all coaches involved in junior football in Wales and will be supported with post-course online resources. A six-hour practical course following on from your 5 Online Modules, providing a basic introduction to the Organisation and delivery of goalkeeper specific activities for our next generation of players. The course will focus on developing candidate skills in the Organisation of practices in a fun, safe, learning environment and additional post-course electronic course resource(s) provided. A 3 hour practical coaching course following on from your 5 Online Modules, providing an introduction to the key concepts of Futsal. Content will include key techniques, skills and tactics, example coaching practices, an understanding of the Laws of the Game and how Futsal should be played. A three-hour interactive on-course workshop to support candidates in developing good practice when working with children and vulnerable adults from across our sport. The workshop will focus on identifying poor practice and recognising signs, symptoms and forms of abuse and how to react to concerns or disclosures. It will also provide advice on how to identify people and organisations that can help and provide support in such situations. 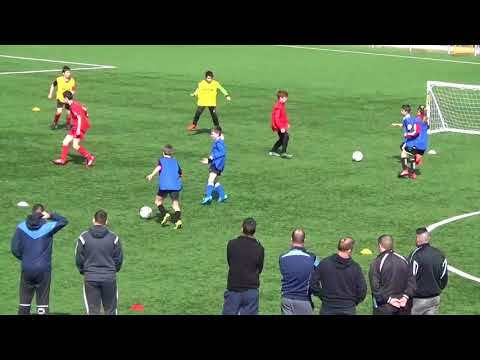 A six-hour practical course following on from your 5 Online Modules, providing coaches with an insight into adapting coaching sessions for disabled footballers in a fun and safe environment. The course will assist, supplement and support the coaches existing experiences in this field. The 6-hour FAW Revalidation Conference, the showpiece of our regional foundation calendar is delivered annually within all 6 of our area associations across Wales, provides candidates with an opportunity to gain an insight into the development of our national game and attain further information and practical examples via a guest speaker. This will count towards your CPD hours to support revalidation of your level 1 and 2 awards, all conferences are Free of Charge to attend. A range of local workshops that aim to provide support and information for coaches working at grassroots level with junior clubs in Wales. The courses also form part of the FAW revalidation requirements and will be delivered via FAW accredited tutors and/or leading Professional club coaches from across Welsh Football.